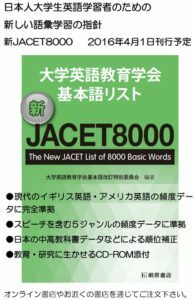 Thank you for your cooperation and interests in the activities of JACET. I am pleased to announce that the final report of JACET’s 4th nation-wide survey of university-level English education, and English teachers who work in higher education sector, has finally been published and is ready for circulation. 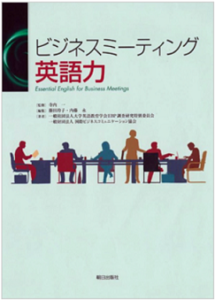 Although the report itself is written in Japanese, an English summary is available. Please download the files from the links provided below. This survey was conducted from August 29, 2017 through to October 16, 2017. A total of 865 English teachers from colleges participated in the survey. The JACET 4th Survey Committee (Board in charge: Naoko Ozeki, Meiji Univ. ; Chair: Hisashi Naito, Hokkai Gakuen Univ.) conducted the survey and analyzed the data collected. This resulted in seven proposals to improve university based English education in Japan. We hope that the report will be of interest to those who are currently working in or are interested in the field of Japanese university based English education. We would once again like to express our gratitude to those who participated in the survey. We wish them great success in their education and research careers.